يضمن فندق فندق ريفرسايد ساوث بانك الذي رمم في 2014 لزائريه قضاء وقت ممتع في هذه المدينة الخلابة سواء جاؤوا في رحلة عمل أو سياحة. يقع مركز المدينة على بعد 0.7 km فقط. ويمكن الوصول إلى المطار خلال 30 دقيقة. يقع هذا الفندق الحديث على مسافة قريبة من المعالم السياحية الشهيرة. يقدم فندق ريفرسايد ساوث بانك خدمات لا غبار عليها وكل أشكال اللياقة وحسن الضيافة اللازمة لإسعاد ضيوفه. إن واي فاي مجاني في جميع الغرف, خدمة التنظيف يوميًا, خدمة غسيل ذاتية, خدمة حجز التذاكر, مجهز لذوي الإحتياجات الخاصة هي جزء فقط من الخدمات التي تميز فندق ريفرسايد ساوث بانك عن باقي الفنادق في المدينة. يمكن للنزلاء الاختيار من ضمن مجموعة من الغرف المصممة بعناية لتعكس جواً من الراحة، والتي يتجاوز عددها 110. يمكنك طلب اللائحة الكاملة للخدمات في الفندق ومن بينها حمام سباحة خارجي, حديقة. إن كنت تتطلع إلى إقامة مريحة وهادئة في المدينة، فستجد في فندق ريفرسايد ساوث بانك بيتك الثاني. يُرجى تزويدنا بموعد الوصول عند الحجز؛ لأن مكتب الاستقبال يغلق في الساعة 10:00 مساءً. يمكن الاطلاع على إرشادات تسجيل الوصول بعد ساعات العمل في مدخل الفندق (الجرس الليلي). My only criticism is of the breakfast menu. We were there for two breakfasts and on both occasions our first menu choices were not available. My Grandson opted for the continental breakfast as an alternate option on the first morning, but not everything advertised on the menu for this option was actually available. There was a similar situation on the second morning so we went elsewhere. Everything else at the hotel was great for the price. The place was rather old, the room is quite small and the interior looks run down. Lucky we only stayed there for 2 nights. The only good thing is that there's free parking on-site. My wife andI have just spent four nights at the Riverside hotel and were totally satisfied. The position was perfect for us as we were attending the Asia Pacific Triennial at the Queensland Art Gallery and GOMA. These galleries were just across the road. In addition it is close to good restaurants, within walking distance of the CBD in Brisbane and the Southbank attractions. We stayed at the Riverside during the previous Triennial three years ago and it is as good now as then. 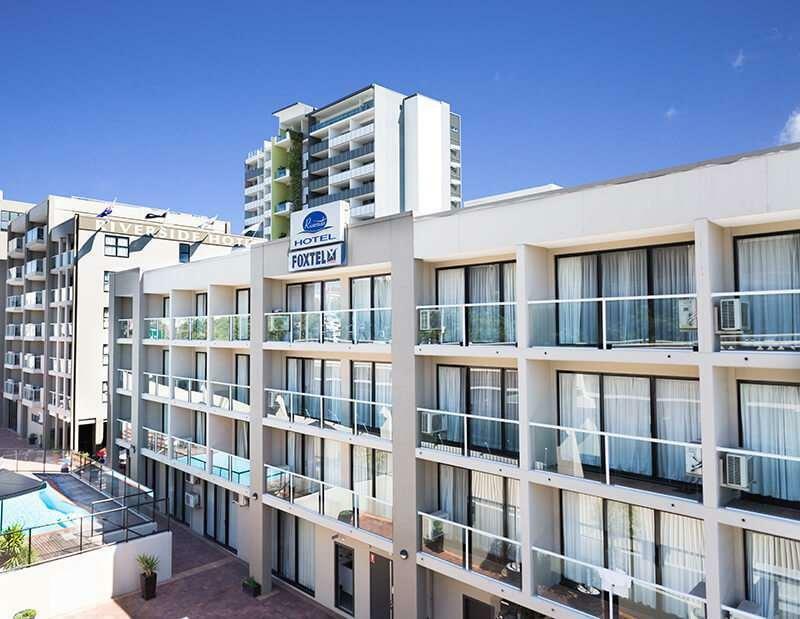 The style is perhaps a little dated, but we do not go to Brisbane just for a stylish hotel. The room was large and well appointed and quiet at night. I t had everything we needed. The hotel is in an amazing location right on the riverside. 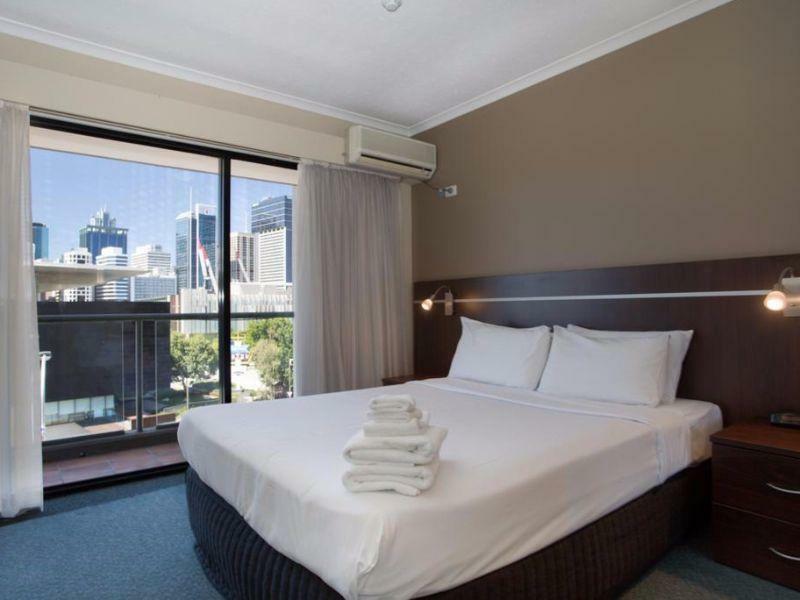 It is a ten minute walk to Queen Street Mall and adjacent to the Southbank. The hotel itself is quite basic with small rooms and minimal facilities. The swimming pool is tiny and in an odd location. Overall I would suggest the hotel if you want something affordable and convenient. Room and toilet were clean, no-frills. balcony opened to backlane, not much of a view. However, the location is very good for art enthusiasts. Just a stone's throw from museums and art galleries. CBD is a short walk away, across the river. Lots of food joints that remain open after sunset, both at CBD and at South Bank. Train station is nearby too. Service from desk good. Housekeeping disappointing . On arrival room not cleaned. Upgraded which was great. 2nd day towels only placed in room. No garbage bag changed. No bathroom tidy or cleaned . Felt compelled to check next day for service as visitors arriving for visit. Last full service day none offered non recived. Riverside Hotel Southbank had all we expected for 1 night in the city; friendly welcoming staff on arrival, room with all we needed for our brief stay and no fuss checking out in the morning and leaving our luggage until later. Best thing was location - we could walk to everything we wanted to see and do, both across the river and on the Southbank. Rooms a little bit dated. Great location. Great staff. Its ok if you just want to stay overnight, though a few nights would not be great unless you were in a apartment. Great place and location- looking forward to our next visit! Our room was well prepared, clean and modern . A good base for exploring Brisbane. A major consideration in our choice was location a(river bank and city in easy walking distance), and the convenience of inclusive, easy access parking. It did not disappoint. I recommend it for travellers like us, looking for the basics done really well. My booking at this hotel was a last minute booking. We met Eli at the reception and he was extremely helpful and nice. His approach is very professional and truly makes one a satisfied customer. We will come back here again, and hope to have such friendly and helpful service from Eli! The hotel was clean and nice and comfortable. We stayed here on our wedding night of 7.8.17. Several family members and ourselves booked rooms and apartments and we were also happy with our choices! Our one bedroom apartment was clean and the bed very comfortable. The staff here make everything seem so easy! The food in the restaurant is wonderful too. We will stay again!